The corset. Platform shoes. Hammer pants. Instinctually, we all can just feel it when it’s time for something to GO AWAY. So when it comes time to get a shiny new trade show exhibit — whether it’s for a campaign, branding or just because — what exactly do you do with an old one? As it turns out, there are lots of options for trade show booth disposal. If you’re looking to make a little money back on the cost of your exhibit, try an online broker such as ExhibitTrader.com. One huge benefit to using a broker for exhibit disposal is that they cast a wide net. That is, they have a vast reach of industry contacts and therefore a deeper pool of potential buyers than “general store” type sites like Craigslist or eBay — which comes in handy when selling custom exhibits like yours. Getting the word out to your industry peers is another viable solution. Somewhere in your network, someone probably knows someone who’s looking to get into trade show marketing but isn’t yet ready to incur the cost of a brand new trade show booth. ExhibitorOnline.com even suggests putting a “For Sale” sign on your exhibit during show setup and teardown, in case your fellow exhibitors are in the market. Your exhibit house is another potential buyer. Not every house offers this service, but those that do go about the process differently from one another. Some have buyback programs in place, while others will credit you an amount toward the purchase of a new exhibit. Ask your exhibit house representative what programs they offer. Regardless of where you decide to sell your trade show booth, you’ll need to have a detailed description of your exhibit. Photos accompanied by measurements, colors, floor layouts, monitor mount details and logistical requirements should be included. Most exhibit houses can and will get rid of an exhibit for a fee. That fee varies depending on which company that’s contracted and the extent they go to in disposing of your exhibit. But the average cost for a 20 x 20 foot exhibit disposal is around $2,300. If your main concern is just to get the thing off your hands and out of your trade show life, this is probably the easiest method — write a check and it’s so long, old booth. However, it’s also the most expensive method of exhibit disposal. In addition, if you have environmental concerns, there are other, greener options. From aluminum and wood to Velcro® and particle board, there are a lot of different materials that go into exhibit-making — and many of them are recyclable. Green initiatives are in place in many exhibit houses, and where they are not, you can always contact your city waste management division to get the specifics on where — and how — your exhibit materials can be recycled. If your booth just is not selling, there is always the most benevolent option: donation to your favorite local non-profit agency or school. You’ll receive a tax write-off for your kind donation. Be sure to receive the standard itemized form or a letter detailing the value of your donation. 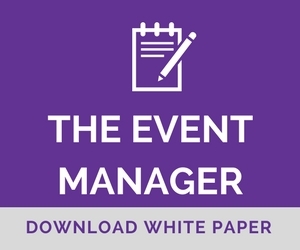 A little pre-planning with show management, your general contractor and the installation and dismantle teams, and you can simply walk away from your booth after its last hurrah. Yes, there will be a disposal fee, but then your old booth is someone else’s problem. You can also provide a list of the materials in the booth so the I&D team can separate them out for recycling. The world of trade show booth disposal is nearly as ripe with possibility as the world of trade show booths themselves. When you decide that your booth is the equivalent of 70s polyester bell bottoms — whether you toss it, sell it, recycle it, reuse it, donate it or forget it — you have a variety of disposal methods to choose from that fit your budget, timeline, ethics and style. Ready to chuck your old exhibit? In many cases, we can apply the value of your old exhibitry toward the cost of a brand new custom display. Call us at 505-828-0574 and let’s talk about your plans and needs.